Internship for students - Get Involved. You don’t want to waste your summer making a widget that will never see the light of day. At Replete Technologies your projects matter and your team will be counting on your skills and insights. Replete Technologies offers paid summer internships in various locations around the India. The majority of our intern roles are within our consulting business, supporting Systems Integration & Technology and Management Consulting. Interns participate in a variety of roles, including those of an actual full-time consultant.Our interns get first-hand exposure to the roles and responsibilities of a consultant. They get to understand what it is like to work at Replete Technologies. The hands-on consulting experience also prepares the students with relevant work experience to take forth and apply in their future career. How to Apply : Our internship roles are available for students who have completed their third year of undergraduate study or first year of an MBA or Advanced Degree. We look for students that demonstrate leadership, strong academic performance, motivation and involvement on campus, and an interest in a consulting career. Applications are due in the early winter timeframe. 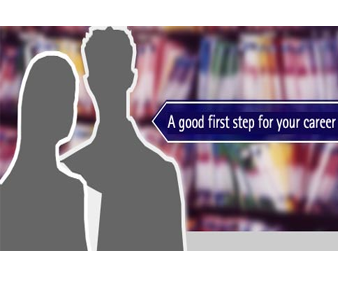 Students should check with their career center to find specific deadlines for their campus. While the consulting work that our interns do during the summer is an important component of the Internship, at Replete Technologies, we strive to make this experience as well-rounded as possible. Our interns are encouraged to participate in special training that is designed for them such as lunch and learn sessions; they have the opportunity to network with fellow interns, recent hires and other consultants; and each year they help give back to the community through our annual Intern Day of Service.In addition, undergraduate students interning with us the summer before their senior year attend a three-day leadership conference at our training facility in Lucknow , India. The conference provides interns with the opportunity to explore Replete Technologies commitment to professional development, build useful skills that they can apply in both academic and professional settings, and network with Replete Technologies executives and employees.